This 6-inch Android phablet is powered by the Kirin 950 chip, features a fingerprint reader, and will hit the Chinese market in Q1 2016. 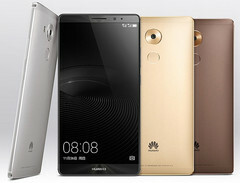 Huawei unveiled the long-awaited Mate 8 phablet yesterday, as mentioned by most recent rumors and leaks. Soon after teaming up with Google to launch the excellent Nexus 6P handset, the Chinese phone maker is back in the spotlight, announcing this 6-inch handset powered by a Kirin 950 processor that will launch in Q1 2016. The "starter" model with 3 GB RAM and 32 GB internal storage retails in China for roughly $470 USD, while the 4 GB/128 GB model has a price of almost $690 USD. 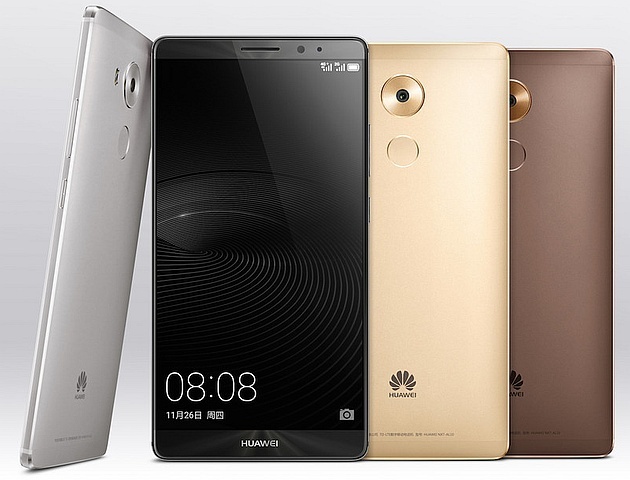 Details about international availability and pricing are expected to show up at CES 2016, next to the handset itself.